05/12/2014, Camden (DE) - SeoSamba launches a completely redesigned version of SeoToaster, its high-performance and open source free CMS software that helps even novice users easily create, manage and market any number of corporate and eCommerce websites. As the name implies, SeoToaster is the only open source content management system (CMS) natively integrating SEO and web marketing automation technology in full compliance with the industry’s best practices. SeoToaster eCommerce sits on top of SeoToaster CMS, combining a full fledge CMS with a powerful eCommerce platform carrying inline edition through the entire experience. When installing SeoToaster 2.2, users will discover completely revamped front-end and more than one hundred new features, offering a content management system packing more power than ever with a fresh and user-friendly interface. In both CMS and eCommerce editions, SeoToaster 2.2 reveals a surprisingly uncomplicated way to build and manage professional websites, with new features including an automated version updater to never have to re-install the system, built-in web form security to prevent bots from spamming email, and introduces APPS, acloud-based service that connect web forms and store dashboard with functionalities such as email marketing. “For new users, it’s like getting a free content management system or eCommerce solution built for SEO & marketing. Those familiar with SeoToaster will enjoy a host of new features and a brand new interface that will still look instantly familiar,” says David Culot, SeoSamba’s CTO. SeoToaster and all available plug-ins output strictly W3C-compliant code: “To the best of my knowledge SeoToaster is the only open source system to enforce W3C standards for usability and performance across the product’s core” says recent adopter Anjo Solano, Cletu’s CEO, a Spanish web developer with major CMS experience. “We also vetted all plug-ins available on our marketplace to be W3c compliant as well” says SeoSamba’s CEO Michel Leconte. “On top of our native semantic web microdata widgets, users can be confident they get maximum website performance with search engines”, Leconte adds.“SeoSamba is envisioning the future of marketing with a unique hybrid approach combining proprietary with open source software: cloud SaaS with locally installable applications, high performance with lower cost. Next month, we will be shipping the new version of our cloud marketing platform SambaSaaS, and we are excited about the features our developers have prepared”. APPS, an entirely new way to add functionalities from the cloud and switch services provider with no plug-in tinkering. Built-in media servers providing up to five-times faster web serving, regardless of your web hosting provider. New specialized inline editor types (imageonly, textonly…)to build unbreakable website themes and minimize end-user support calls. Built-in tripwire web form protections to prevent bots to spam your email without interfering with conversion objectives, as sometimes Recaptcha does. Inline product promotion building : add the promotion to your landing pages, and the system takes care of building the logic for you. 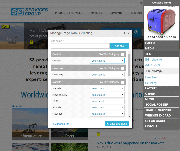 Inline product lists building, no need to alter templates to add/edit automated products lists. A redesigned store dashboard theme that introduces custom fields, and more filters to easily find and process transactions. 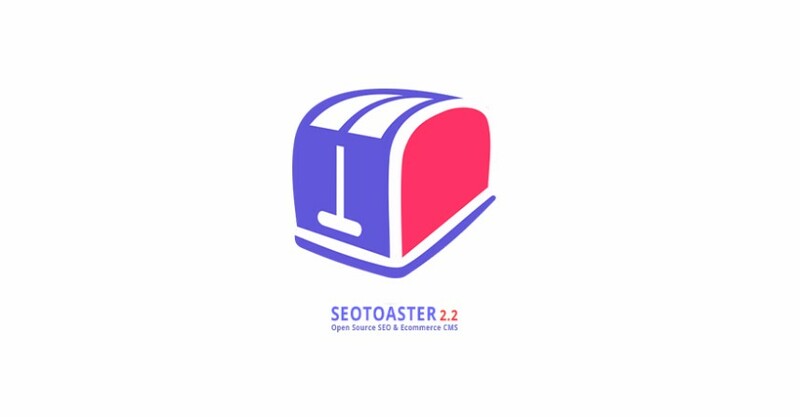 Full version of SeoToaster 2.2 is available for free download athttps://www.seotoaster.com/free-seo-software-shopping-carts.html. For any additional information, you are welcome to contact pr@seosamba.com. It is an open source solution that is customizable at will and available for use and download free of charge at http://www.seotoaster.com and extensions at https://www.seotoaster.com/website-plugins-marketplace.html.